Is Charice thinking about transitioning to become a man? Is former Glee star Charice transitioning to become a man? Her revelation might be surprising to fans. Charice is a good singer. A diva. I’ve seen her performed on tv shows like Glee. I wonder what will happen to her voice if she does transition, with the hormone therapy, etc. I miss the old Charice, but hey it’s her life anyway. Oprah Winfrey sits down with Charice, the Filipina singing sensation who rose to fame via YouTube and a former Glee star who played Sunshine Corazon, for a one-on-one interview that leads to a surprising revelation that might shock her fans. Watch OWN’s “Where Are They Now?” teaser video here. Don’t fail to watch Oprah: Where Are They Now? on Sunday, October 19, at 9/8c and get more celebrity updates from actress Carmen Electra, radio and TV personality Shadoe Stevens and singer Macy Gray. 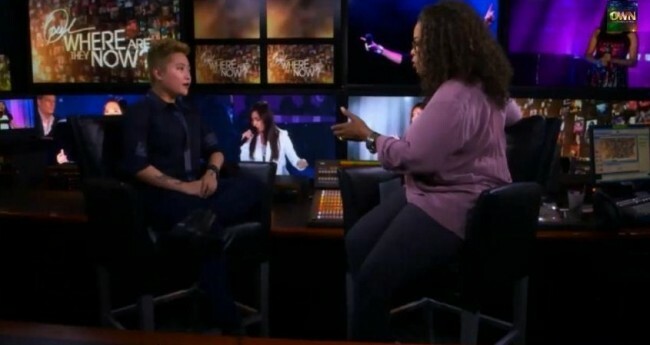 Where to watch Charice and her full Oprah interview? Video will be posted here as soon as it gets available online. Bookmark this page right now. So what do you think of Charice Pempengco’s new look?